The Senate confirmed Tom Price (R-Georgia) by a 52-47 vote as the new Chief of the Department of Health and Human Services this week. Much of the debate focused on Price’s ethically and legally dubious stock purchases. He bought stock in a medical device company--and then promptly authored a bill to increase Medicare reimbursements for that company’s products. Attention to Price’s many apparent conflicts of interest are important but should be taken up by the SEC as part of an investigation of insider trading. Unfortunately, with all the attention paid to financial shenanigans, there was correspondingly less attention paid to what Tom Price would try to do to Medicare and Medicaid. In fact, there’s a great deal of speculation about what Tom Price believes or would do, and less reliable information about what he wants to do. What we do know is that he is an orthopedic surgeon (one of the medical device companies he invested in, and which stands to benefit from legislation he favors, is Zimmer, a leading manufacturer of artificial hips and knees) who strenuously dislikes the recently introduced “bundling” of payments for joint replacement surgery under Medicare. According to this plan, which so far seems to be lowering costs without adversely affecting quality, Medicare pays a single amount for all care involved in replacing a hip or knee: hospital care, the surgery itself, and post-surgical care for 90 days. Providers whose care costs less than the target amount stand to be paid a bonus and those whose care care exceeds the target amount are hit with a penalty. Programs such as this one are piloted by the Center for Medicare and Medicaid Improvement, an agency authorized by the Affordable Care Act--and Price has specifically tried to de-fund the CMMI. What we know is that Price was one of the authors of “A Better Way,” the House Republican outline for replacing the ACA. This document strongly favors “premium support,” a voucher program that would give patients a fixed amount of money with which to purchase a (private) health insurance plan. While this might simply be what Medicare already does with respect to Medicare Advantage programs, the current alternative to fee-for-service Medicare, it raises the question both of whether the vouchers could be used to buy a conventional Medicare plan and also how much control CMS would have over what must be included in eligible plans. We know that Price favors repeal of the ACA, which provides for free coverage of preventive services such as colon and breast cancer screening, and which has reined in Medicare costs by reducing payments to hospitals, skilled nursing facilities, and Medicare Advantage plans. Undoing the ACA has the potential to reverse all these trends. Finally, we know that Price is in favor of converting Medicaid to a block grant program—essentially turning it over to the states. Medicaid already demonstrates enormous state to state variation, with the contribution and standards of the federal government standing between a robust insurance plan and a total farce in states such as Alabama and Mississippi. Right now, 9 million of the 46 million Medicare enrollees are dually eligible—they receive both Medicaid and Medicare. 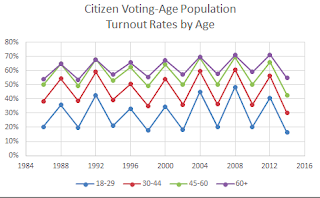 A far larger proportion of older, eligible voters go to the polls on election day than any other group. 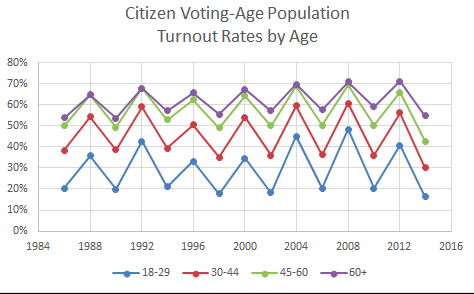 In 2016, voter turnout among the 65+ set was close to 60 percent; among those 18-29, it was under 20 percent. Older people count in the eyes of our elected officials, if for no other reason than that they vote. Maybe those enrolled in Medicare didn’t realize that a Trump administration would mean for them. But with the appointment of Tom Price, we know a little more. It's time for older people to speak up for Medicare. The United Kingdom is, in many respects, ahead of the United States in its approach to both geriatrics and palliative care. Cicely Saunders established the first modern hospice in London in 1967; the US did not open its first hospice until 1974, after Florence Wald spent a year at the St. Christopher’s Hospice in England to study under Saunders. While the US boasts that Dr. Ignatz Nascher—himself an immigrant from Austria—coined the term “geriatrics in 1911, Nascher is not exactly a stellar role model. He wrote in his textbook, “Geriatrics: Diseases of Old Age and their Treatment,” that “We realize that for all practical purposes the lives of the aged are useless, that they are often a burden to themselves, their family and the community at large. Their appearance is generally unesthetic, their actions objectionable, their very existence often an incubus to those who in a spirit of humanity or duty take upon themselves the care of the aged.” Far more attractive a founding figure is Britain’s Marjory Warren, who created the first geriatric units in English hospitals in the 1940 and whose work led the National Health Service to recognize geriatrics as a specialty in 1947. The US medical establishment only came to see geriatrics as worthy of recognition four decades later—and instead of awarding the field specialty status, chose starting in 1988 to allow physicians to receive a “Certificate of Added Qualifications in Geriatrics,” something less than full-fledged accreditation. The gap between the UK and the US remains to this day. So when the British report a study of the factors associated with whether people die in hospital or at home, it’s worth heeding their findings. In both England and the US, most people who are asked where they would prefer to die say they want to be at home. Where people actually die is quite different. In England, 58 percent of people die in hospital and 18 percent at home. In the US in 2007, 24 percent of people over 65 died at home, up from 15 percent in 1989. The main change in the last decade, however, has been an increase in deaths in the nursing home: hospital deaths went from 38 percent to 35 percent, but nursing home deaths from 5 to 28 percent. But England tried to do something about the discrepancy. England adopted the “End of Life Care Strategy” in 2008 to improve care in the final year of life and to prioritize home over hospital care. The new study examines what happened to patients dying of respiratory disease between 2001 and 2014. What they found was that among the 334,520 people who died of chronic obstructive pulmonary disease and the 45,712 who died of interstitial lung disease, hospital death fell by 6 and 3 percent, respectively, after the introduction of the End of Life Strategy. In the several years before the strategy was initiated, the proportion of pulmonary deaths occurring in the hospital had remained constant. But the improvements were wiped out for people who had multiple co-morbid conditions. And living in a city, especially London, lower socioeconomic status, and being married, also increased the likelihood of dying in the hospital. Another study, this one from Belgium, may shed some light on why it was so hard to enable people with chronic respiratory conditions, assorted co-morbidities, and limited resources out of the hospital. This study of family physicians, nurses, and family caregivers used focus groups and semi-structured interviews to figure out the pluses and minuses of hospital care. They identified the usual weaknesses of the hospital: inadequate expertise in symptom management, an excessive focus on curative care or on life-prolongation, and poor communication. But they also revealed that for many people, the acute hospital is a safe haven. It is a place that offers hope even to people who acknowledge that they are terminally ill. It provides continuous support and peace of mind. And it is a place of last resort for people whose families are having difficulty caring for them at home. As my colleague Jim Sabin and I argued a few years ago in our paper “No Place Like the Hospital,” what people say they want (ie to die at home) when they are perfectly healthy may be quite different from what they actually want when they are seriously ill and imminently dying. It’s not surprising that the more complicated their medical problems and the more constrained their financial and familial resources, the more attractive the hospital seems. But with the growth of inpatient palliative care consultative services—67 per cent of American hospitals now boast such a program —in-hospital care is improving. The findings of the Belgian study, with inadequate pain management, poor communication, and excessive attention to life-prolonging therapy, are no longer universally applicable. To improve care at the very end of life, we need to do a better job in both the home and the hospital setting. In both cases, what is needed is a potent injection of palliative care expertise. 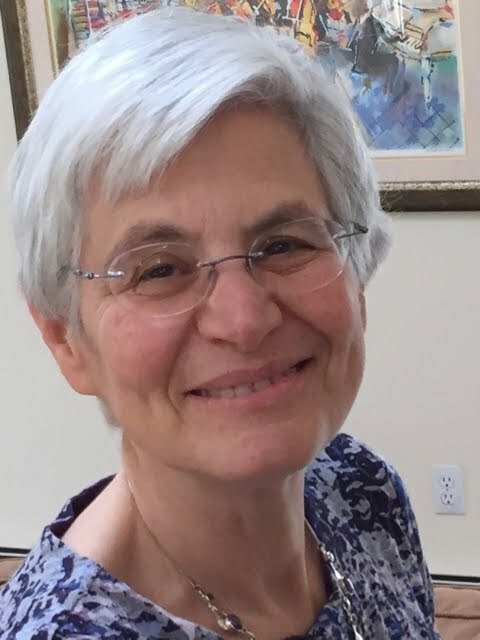 If care is in the hospital, the family physicians, specialists, and nurses providing treatment should be advised by palliative care specialists. If care is in the home, family caregivers should have the support and resources of a sophisticated palliative care team. The issue is not so much moving care from one site to another as optimizing care in each location.